Nikolay Nikolayevich Semyonov (or Semenov), ForMemRS  (Russian : Никола́й Никола́евич Семёнов; 15 April [ O.S. 3 April] 1896 – 25 September 1986) was a Russian/Soviet physicist and chemist. Semyonov was awarded the 1956 Nobel Prize in Chemistry for his work on the mechanism of chemical transformation. Semyonov was born in Saratov, the son of Elena Dmitrieva and Nikolai Alex Semyonov. He graduated from the department of physics of Petrograd University (1913–1917), where he was a student of Abram Fyodorovich Ioffe. In 1918, he moved to Samara, where he was enlisted into Kolchak's White Army during Russian Civil War. Saratov is a city and the administrative center of Saratov Oblast, Russia, and a major port on the Volga River located upstream (north) of Volgograd. Population: 837,900 (2010 Census); 873,055 (2002 Census); 904,643 (1989 Census). A magnetic field is a vector field that describes the magnetic influence of electrical currents and magnetized materials. In everyday life, the effects of magnetic fields are often seen in permanent magnets, which pull on magnetic materials and attract or repel other magnets. Magnetic fields surround and are created by magnetized material and by moving electric charges such as those used in electromagnets. 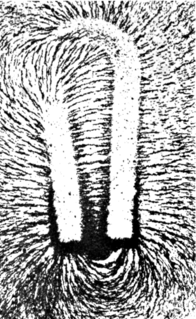 Magnetic fields exert forces on nearby moving electrical charges and torques on nearby magnets. In addition, a magnetic field that varies with location exerts a force on magnetic materials. Both the strength and direction of a magnetic field varies with location. As such, it is an example of a vector field. Yakov Il'ich Frenkel was a Soviet physicist renowned for his works in the field of condensed matter physics. He is also known as Jacov Frenkel. The kinetic theory of gases describes a gas as a large number of submicroscopic particles, all of which are in constant, rapid, random motion. The randomness arises from the particles' many collisions with each other and with the walls of the container. Condensation is the change of the physical state of matter from gas phase into liquid phase, and is the reverse of vapourisation. The word most often refers to the water cycle. It can also be defined as the change in the state of water vapour to liquid water when in contact with a liquid or solid surface or cloud condensation nuclei within the atmosphere. When the transition happens from the gaseous phase into the solid phase directly, the change is called deposition. Chernogolovka is a town in Moscow Oblast, Russia. Center of the town located some 43 km northeast of the Moscow city limit and 59 km from Red Square. Its population in 2018 was 21,342. Jaroslav Heyrovský was a Czech chemist and inventor. Heyrovský was the inventor of the polarographic method, father of the electroanalytical method, and recipient of the Nobel Prize in 1959 for his discovery and development of the polarographic methods of analysis. His main field of work was polarography. Henry Eyring was a Mexican-born American theoretical chemist whose primary contribution was in the study of chemical reaction rates and intermediates. Manfred Eigen was a German biophysical chemist who won the 1967 Nobel Prize in Chemistry for work on measuring fast chemical reactions. Rudolph Arthur Marcus is a Canadian-born chemist who received the 1992 Nobel Prize in Chemistry "for his contributions to the theory of electron transfer reactions in chemical systems". Marcus theory, named after him, provides a thermodynamic and kinetic framework for describing one electron outer-sphere electron transfer. He is a professor at Caltech, Nanyang Technological University, Singapore and a member of the International Academy of Quantum Molecular Science. Yulii Borisovich Khariton was a Russian physicist credited as a leading scientist in the Soviet Union's nuclear weapons program. Since the initiation of the atomic bomb project by Joseph Stalin in 1943, Khariton was the "chief Nuclear weapon designer" and remained associated with the Soviet program for nearly four decades. In honour of the centennial of his birthday in 2004, his image appeared on a Russian postal stamp by the Russian government. The Ioffe Physical-Technical Institute of the Russian Academy of Sciences is one of Russia's largest research centers specialized in physics and technology. The institute was established in 1918 in Petrograd and run for several decades by Abram Ioffe. The Institute is a member of the Russian Academy of Sciences. The Lenin Prize was one of the most prestigious awards of the Soviet Union for accomplishments relating to science, literature, arts, architecture, and technology. It was originally created on June 23, 1925 and awarded until 1934. During the period from 1935 to 1956, the Lenin Prize was not awarded, being replaced largely by the Stalin Prize. On August 15, 1956, it was reestablished, and continued to be awarded on every even-numbered year until 1990. The award ceremony was April 22, Vladimir Lenin's birthday. Science and technology in the Soviet Union served as an important part of national politics, practices, and identity. From the time of Lenin until the dissolution of the USSR in the early 1990s, both science and technology were intimately linked to the ideology and practical functioning of the Soviet state, and were pursued along paths both similar and distinct from models in other countries. Many great scientists who worked in Imperial Russia, such as Konstantin Tsiolkovsky, continued to work in the USSR and gave birth to Soviet science. Sir Derek Harold Richard Barton was an English organic chemist and Nobel Prize laureate for 1969. Sir Cyril Norman Hinshelwood was an English physical chemist and a Nobel Prize laureate. Nikolay Gennadiyevich Basov was a Soviet physicist and educator. For his fundamental work in the field of quantum electronics that led to the development of laser and maser, Basov shared the 1964 Nobel Prize in Physics with Alexander Prokhorov and Charles Hard Townes. Nikolay Nikolayevich Bogolyubov, also transliterated as Bogoliubov and Bogolubov, was a Soviet mathematician and theoretical physicist known for a significant contribution to quantum field theory, classical and quantum statistical mechanics, and the theory of dynamical systems; he was the recipient of the 1992 Dirac Prize. Mendeleev readings — a solemn act, the annual reports of leading Soviet/Russian scholars on topics affecting all areas of chemistry and its related sciences: physics, biology and biochemistry. Date of readings is due to two dates: birthday of Dmitri Mendeleev, and sending messages to them on the opening Periodic Law. David Albertovich Frank-Kamenetskii was a Soviet theoretical physicist and chemist, professor and doctor of physical, chemical and mathematical sciences. 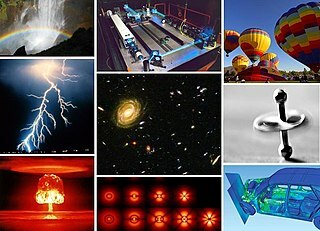 He developed the thermal explosion theory, worked on plasma physics problems and in astrophysics. The Semenov Institute of Chemical Physics of Russian Academy of Sciences (RAS), was established in 1931 under the direction of Professor Nikolay Semyonov, Nobel Laureate in Chemistry (1956) on the basis of the Physico-Chemical Sector of the Leningrad Physical Technical Institute. The staff of the Institute includes about 450 researchers. The Institute has been situated in Moscow since 1943. It is affiliated with the Moscow State University and has chairs at the Moscow Institute of Physics and Technology and other institutions of higher education. Aram Bagrati "Bagratovich" Nalbandyan was a Soviet Armenian physicist, prominent in the field of physical chemistry, founder of the Institute of Chemical Physics in Yerevan, Armenia, and academician-secretary of the Chemical Department of the Armenian Academy of Sciences (AS). He is the author of more than 400 scientific articles and five monographs. Yuri Alfredovich Berlin is an American physical chemist of Russian origin. He is a research professor in the department of chemistry at Northwestern University. 1 2 Dainton, L. (1990). "Nikolai Nikolaevich Semenov. 16 April 1896-25 September 1986". Biographical Memoirs of Fellows of the Royal Society . 36: 526–546. doi:10.1098/rsbm.1990.0042. 1 2 3 4 5 6 7 "Nikolai Nikolaevich Semenov". encyclopedia.com. Complete Dictionary of Scientific Biography. 2008. Retrieved 10 Oct 2011. ↑ "List of Members". www.leopoldina.org. Retrieved 6 October 2017.